Surprise her with a beautiful monogrammed mini necklace with her new three initials in classic style for her big day! She will be glowing with pride as she wears her new initials around her neck. 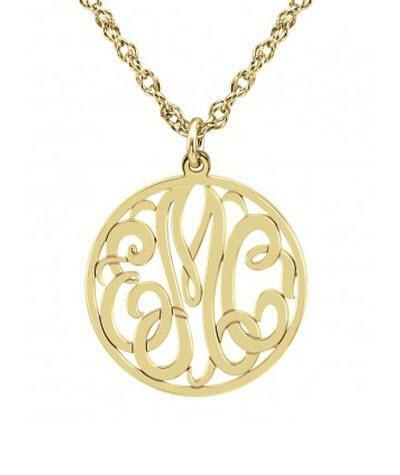 The pendent hangs perfectly on a 16 or 18 inch chain in your favorite metal type and monogrammed in your three initials. Not just for a bride but a great gift for any woman of any age for any occasion or treat yourself!